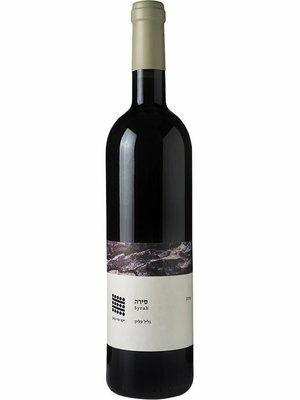 The dark purple wine has aromas of black plums, ripe cherries and creme of cassis, with mint and tobacco in the background. The medium to fullbody wine shows a pleasant and long-lasting aftertaste. Technical data: The wine underwent fermentation for 7 days in stainless steel vats, followed by malolactic fermentation and 6 months of aging in stainless steel vats to preserve the fruity taste of the wine. Harvest: The growing season prior to harvest began with a rainy winter. The vines were 'awakened' in a moist soil, but with good growth conditions. Spring started earlier than normal, leading to early maturity in most plots. The beginning of spring was marked by vigorous vines. This put the winemakers under pressure to complete their tasks on time. During the season the weather was moderate and the ripeness of the fruit was uniform and moderate. The 2016 harvest was the shortest ever of the winery and ended within eight weeks. This year shows signs of very high quality.